Spoon a scoop of Peach sorbet into an ice cream glass. Add 1 oz. 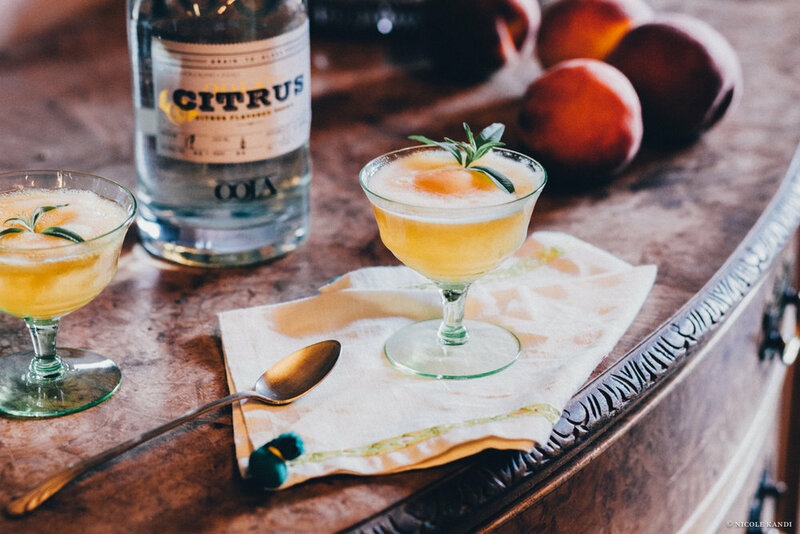 OOLA Citrus Vodka and top with Prosecco. Garnish with a sprig of Lemon Verbena and serve immediately.